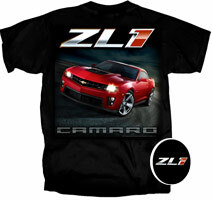 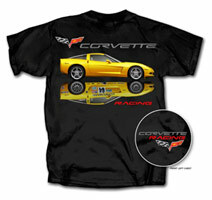 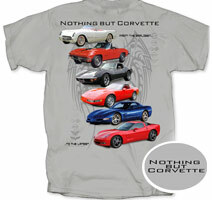 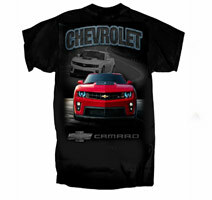 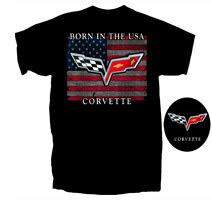 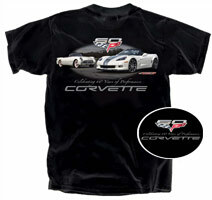 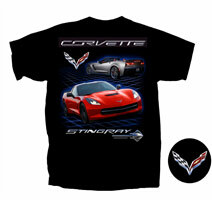 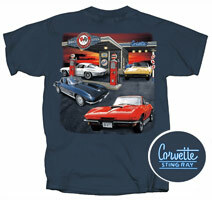 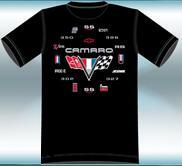 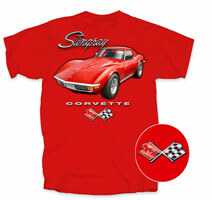 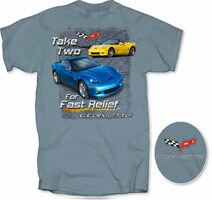 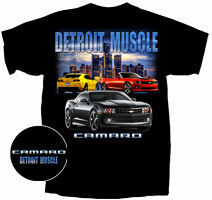 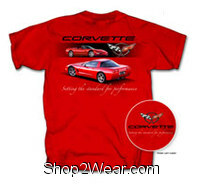 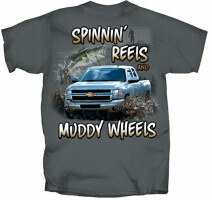 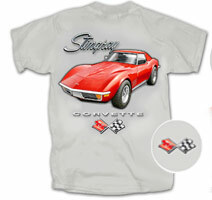 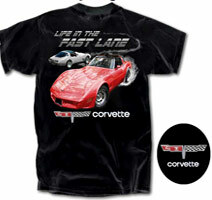 Chevy T-Shirts, Chevy T-Shirt, Chevrolet T-Shirts & Shirts | Shop2Wear.com: For Shopping the best deals online. 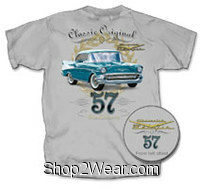 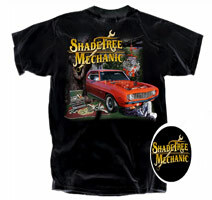 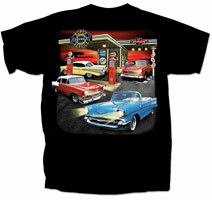 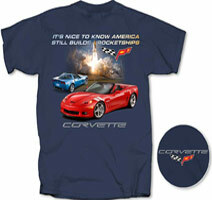 Shop for new and vintage Chevy or Chevrolet T-Shirts & Shirts on sale at our store. 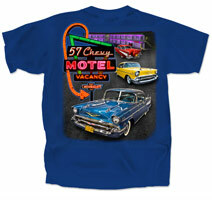 We have 57 Chevy Motel Vacancy T-Shirt, A Few Goats out in the Yard GTO T-Shirt, Born in the USA Corvette T-Shirt, Camaro Black T-Shirt, Camaro Z28 T-Shirt, Celeberating 60 years of performance Corvette Black T-Shirt, Celibrating 60 Years of Performance Corvette T-Shirt, Chevrolet 1957 Classic T-Shirt, Corvette Service Station T-Shirt, Corvette Stingay Black T-Shirt, Corvette T-Shirt 5, Corvette T-Shirt JH Design, Detroit Muscle Corvette T-Shirt, Its Nice to Know America still Builds Rocketships Corvette T-Shirt, Life in the Fast Lane Corvette T-Shirt, Lost in the 50s Vette Diner T-Shirt, Muscle Garage T-Shirt, Nothing but Corvette T-Shirt, Red Chevy Camaro on Black T-Shirt, Shade Tree Mechanic Chevy T-Shirt, Spinnin Reels Muddy Wheels T-Shirt, Stingray Corvette Grey T-Shirt, Stingray Corvette Red T-Shirt, Super Chevrolet Service T-Shirt, Take Two for Fast Pain Relief Corvette T-Shirt, Topdown Fun is Back Camaro T-Shirt, Yellow Corvette Racing T-Shirt, You can Never Have Too Much Muscle T-Shirt & ZL1 Camaro T-Shirt T-Shirts in our collection. 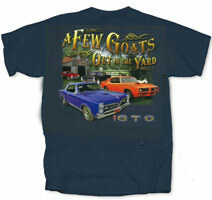 A Few Goats out in the Yard GTO T-Shirt:$19.95. 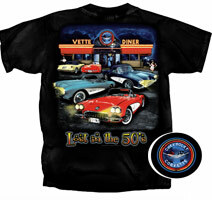 Lost in the 50s Vette Diner T-Shirt:$19.95. 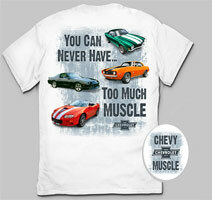 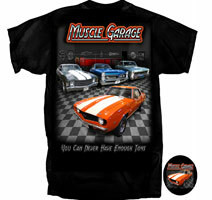 You can Never Have Too Much Muscle T-Shirt:$21.97. 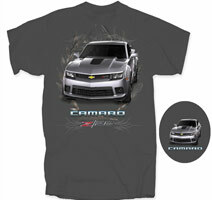 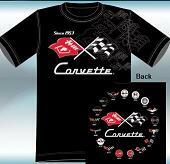 The Chevy T-Shirts come in various sizes and shades like grey, dark blue, blue, black, red, yellow and white.